HORSESHOE CRABS, PONIES, AND... COYOTES! 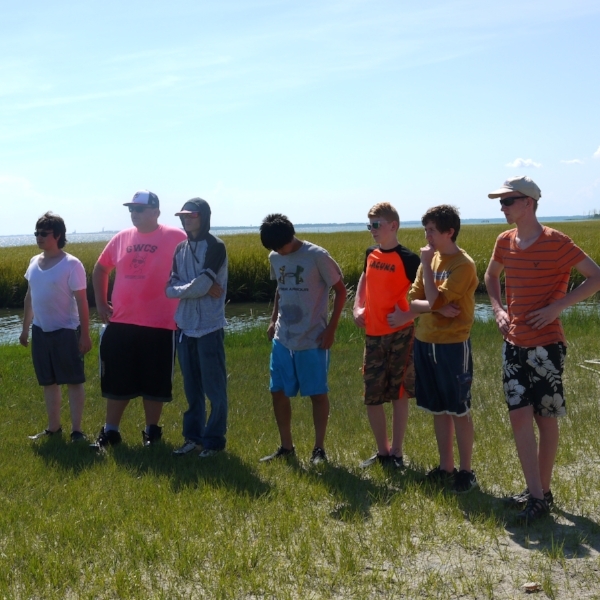 The GW Community School Chincoteague Bay Field Station Adventure. We may have been off for the summer but science does not take a vacation! 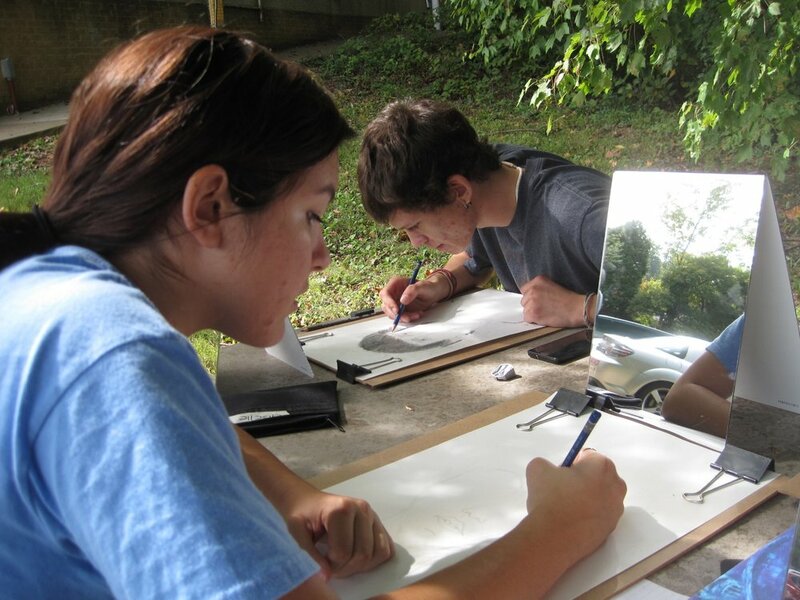 On August 12, 2016, 12 students agreed to a three-hour van ride to attend a specialized Environmental Science program on the beautiful Chesapeake Bay. 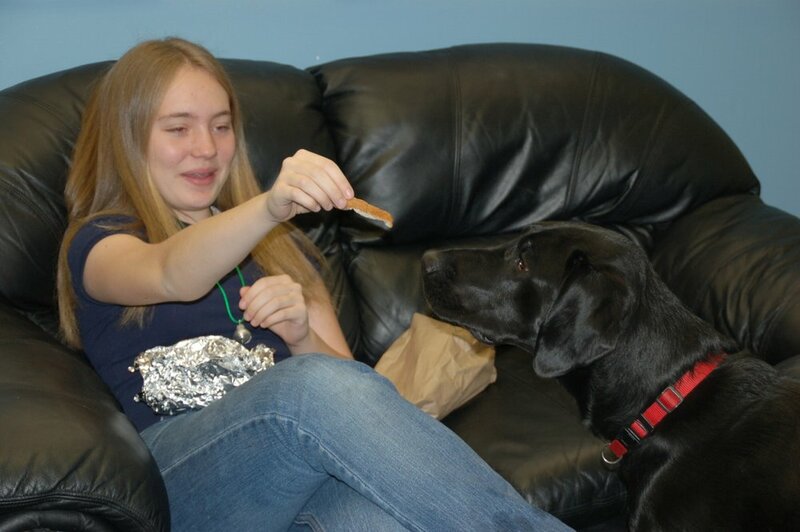 The Chincoteague Field Station features several labs, classrooms, dorm facilities, a cafeteria, and recreation areas. Once getting situated in our spacious dorm facilities, the students (and adults) prepared for the upcoming day with a lesson on boat safety. Here, the students were able to volunteer for specific roles on the boat, including dragging in the trawling nets full of the bay’s creatures. Afterwards, the center graciously packed up a cooler of burgers, dogs, salads, and all the fixins’ and we were off to barbecue on Asateague Island. Here, we were treated to beautiful sunsets, s’mores, and a pristine beach. 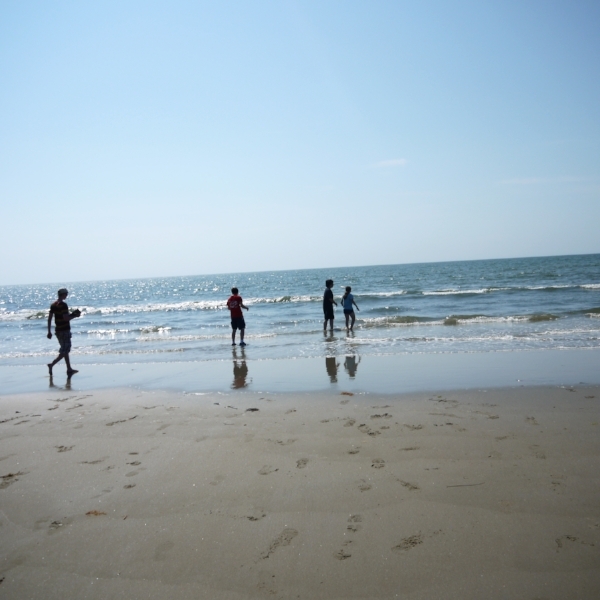 Students buried each other in the sand, played ball, and generally had a relaxing time with fellow classmates they had not seen all summer. The evening was capped off with a trip to the iconic island ice cream hangout, Mr. Whippy’s for frozen treats. It was the perfect start to our three-day get away on the Island. Day two found us all up bright and early and ready for boating! A Chincoteague local took us out on the Mollusk, for trawling up and down the channels of the bay. Students pulled up trawling nets filled with blue crabs, shrimp, clams, small fish, snails, and other creatures. 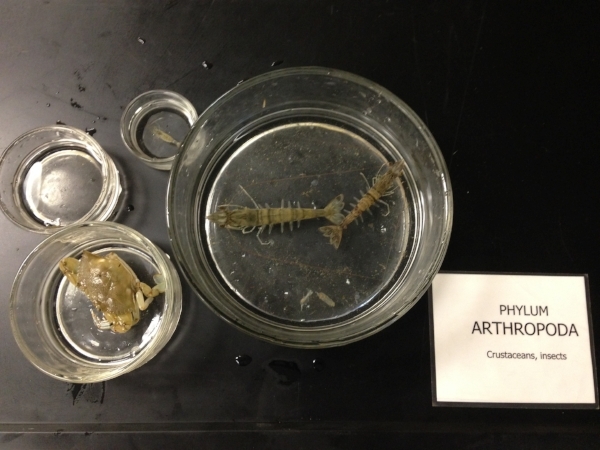 Some were collected in special containers to bring back to the lab for further investigation. The latter half of the day involved us putting on our best “game faces” as we squared off against the intense heat and battled horseflies in the intertidal zone. Despite these obstacles, students still had a great time learning how to sample using quadrants and kick nets in the different zones present on the coast line. Once back to the lab, the students used dichotomous keys, field guides, and illustrations to figure out the scientific classification of all the creatures we had caught earlier in the day. Quite a full day of science! Ice cream was again on the menu after all that hard work. The following day was equally jammed-packed with a morning spent on Wallops Island, home of NASA. We obtained special permits to be allowed access to the vacant beach where we participated in a dune building exercise followed by more beach time. 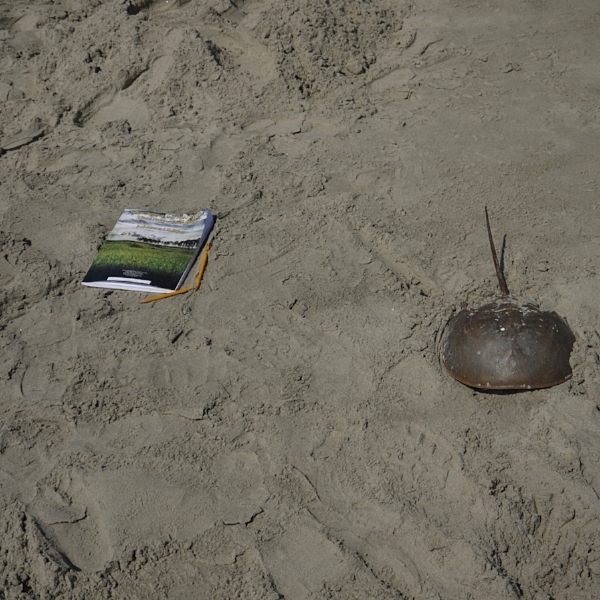 The beach was full of horseshoe crabs, vegetation, and crustaceans and we all took advantage by doing some shelling. After enjoying the cool ocean water and beautiful morning sun, it was time to head home. The trip not only provided a way to get in some valuable science experiences but also a great opportunity for everyone to get to hang out after a long summer apart. Plans are already being made for another trip in 2017, this time with the ability to earn a quarter credit of science. Be on the lookout for updates! Special thanks to our parent chaperones: Steve Ginsberg, Linda Campbell and Julia O'Grady!